Most organizations, from small businesses to enterprises, handle large amount of business data, which almost always includes sensitive information. To protect this information from improper exposure, it’s not enough to understand where it resides; you also need to learn which issues put the data at risk and quickly remediate them. 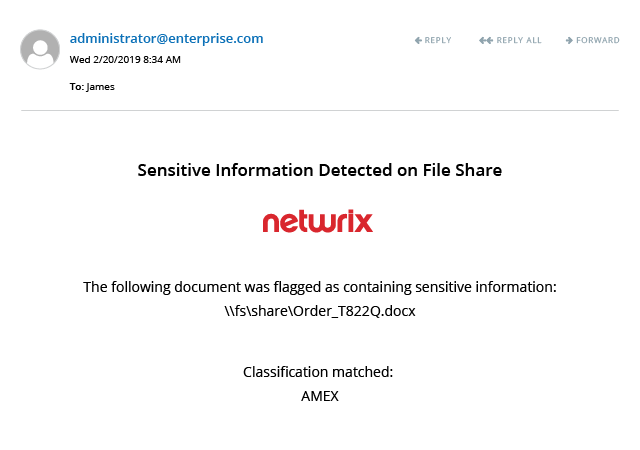 With solutions from Netwrix, you can reduce the exposure of your sensitive data by moving it to a safe environment, deleting confidential pieces of content from it and more. 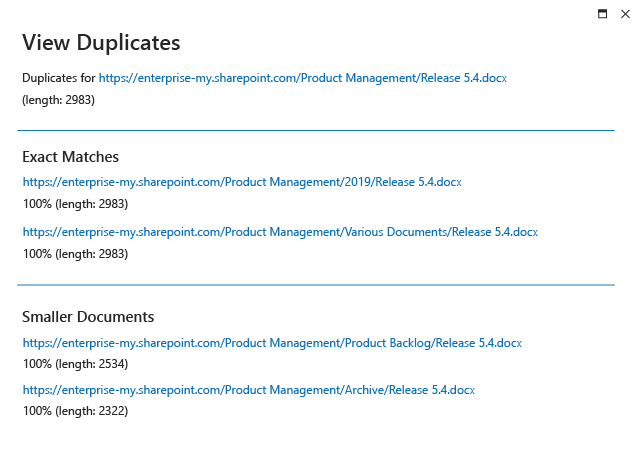 Suppose you or your manager were to find sensitive content in a folder reserved for unimportant legacy data — a folder that many users have access to. Could you revoke those rights in a timely manner to reduce the risk of someone stealing the valuable content? 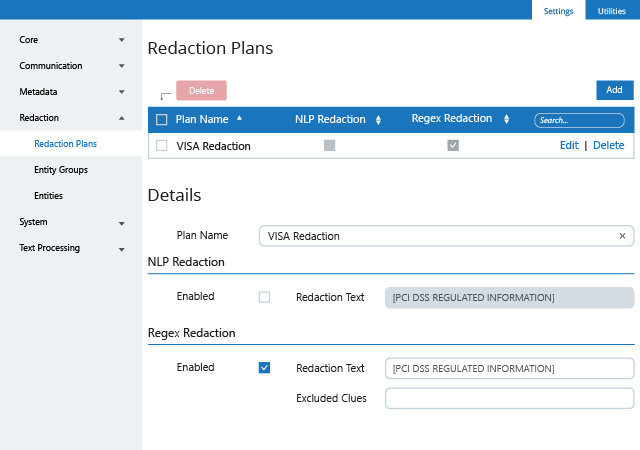 Data remediation intelligence from Netwrix empowers you to minimize the exposure of your data by building a strong data remediation process. Data remediation starts with understanding what data you hold and cleaning up your data stores. All too often, organizations pay as much attention to redundant, obsolete or trivial data as they do to high-value content that needs stronger protection for business or legal reasons. The file analytics capabilities from Netwrix automate the work of classifying content by data quality and value, so you can focus on securing truly important data and facilitate data cleanup. You need to keep an eye out for sensitive content stored outside of a secure location. But manually combing through complex data structures scattered across multiple systems is not a viable approach. With data remediation workflows provided by Netwrix, you can automatically spot critical data in unsecure locations and move it to a secure quarantine area until you are ready to make accurate, informed decisions about what to do with it. Many companies don’t know how much of their sensitive data is accessible by large groups of users and don’t have a quick way to find out. With this gap in data access governance, they might end up with a data leak and compliance problems. 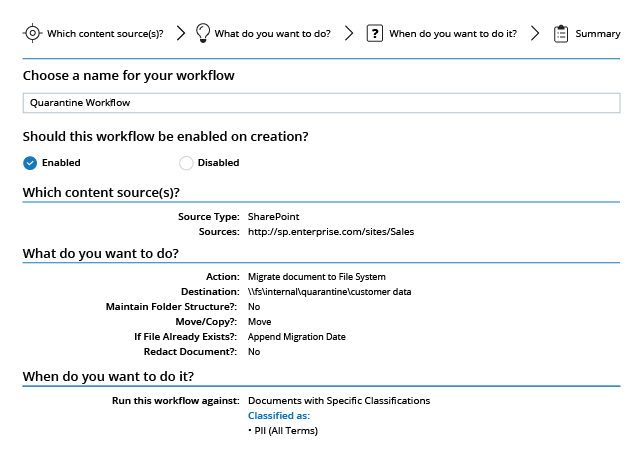 Data remediation workflows from Netwrix streamline this aspect of data management by automatically removing permissions to sensitive data from groups like Everyone, including inherited access. You need to stay on top of modifications and other events that might impact the confidentiality, integrity and availability of data classified as sensitive. 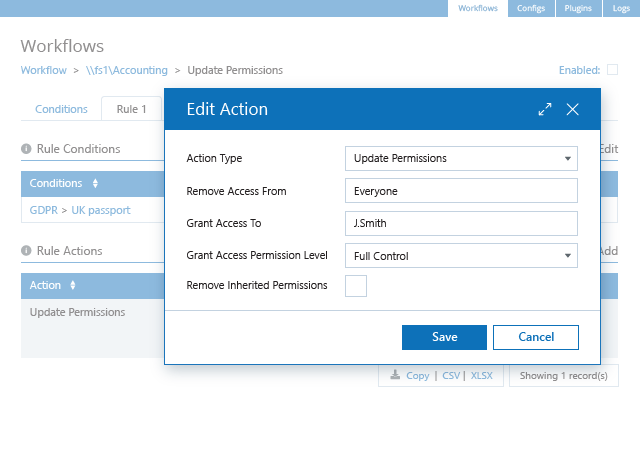 Solutions from Netwrix automatically send you a notification email with all the key details about each event — whether it’s a changed location or classifications that were run — so you can determine whether the action was authorized.